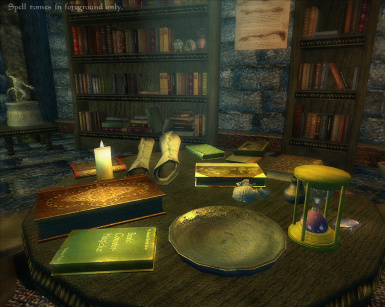 Texture replacers for Shivering Isles books and for DLCSpellTomes. 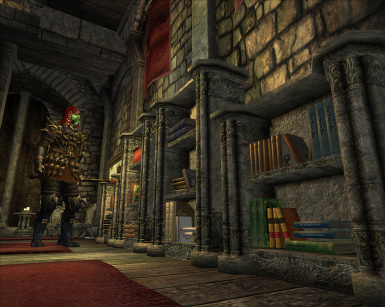 Thanks to Gothic251 who beat this thing into shape! 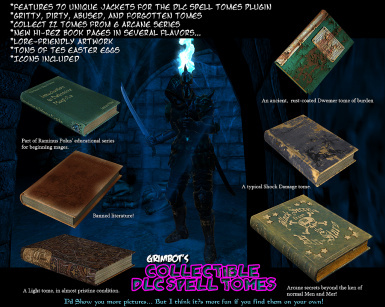 Now both Shivering Book Jackets and Grimbot's Spell Tomes are (in all probability) totally bug-free. In addition, they're now much smaller files, they're compatible with most book placement mods, and they're also compatible with Darnified-UI! 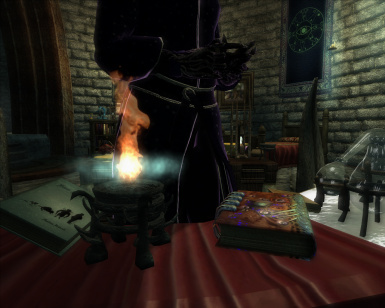 All Shivering Isles books have been re-textured with the exception of "The Madness of Pelagius" and generic journals and the like. 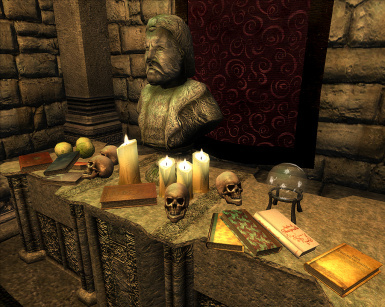 This mod should be used alongside "Book Jackets: Oblivion", which already contains a beautiful "Madness". My goal was to make the jackets look worn and reflect the madness of the isles themselves. 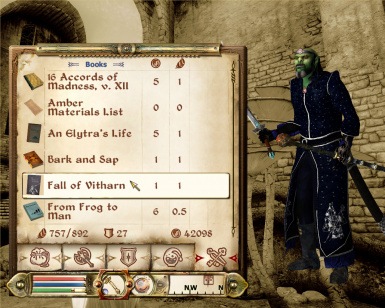 The more rare the book, the more unique it is likely to be. Do I mean to imply that Fenroy bit every single copy of his ravings in the lower right corner? Well, heck. It's Fenroy. Did you READ that thing!? Check out the readme or pics for the sales pitch!